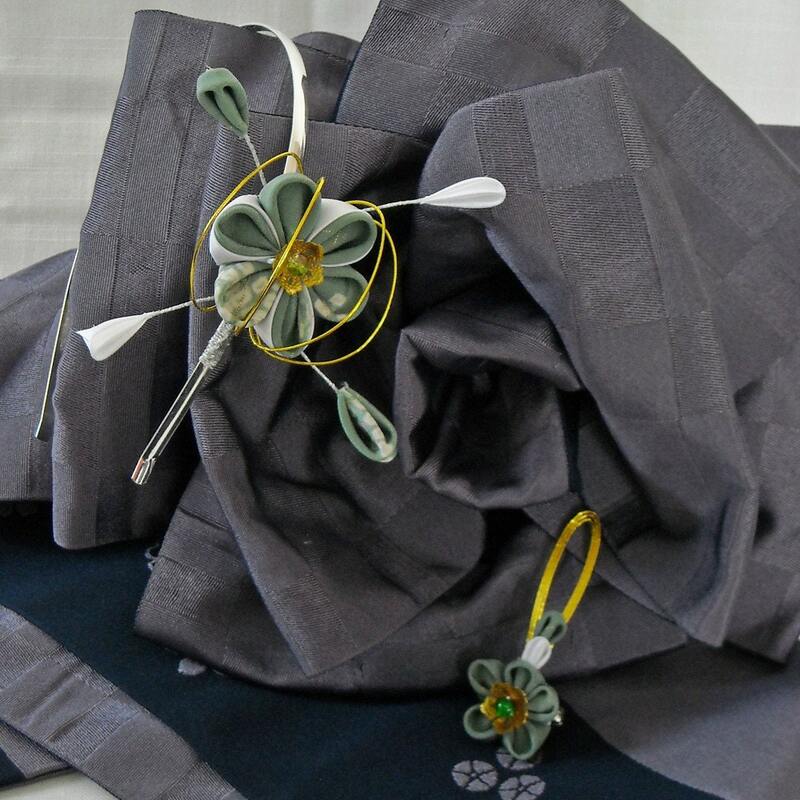 A matching hairband and buttonhole kanzashi made from “something old” (vintage kimono fabric) and “something new” (white habutae fabric). 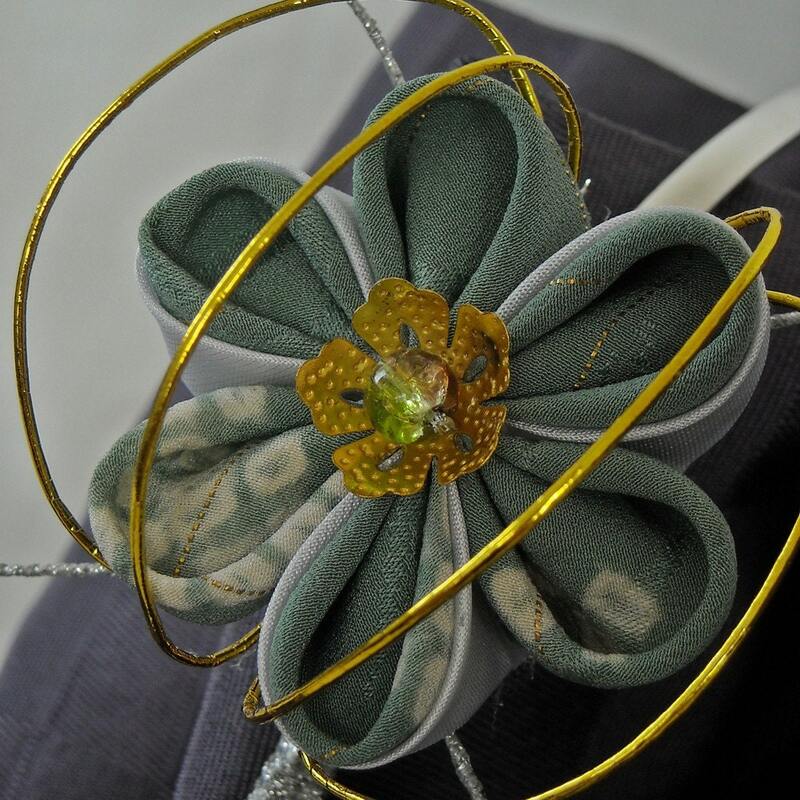 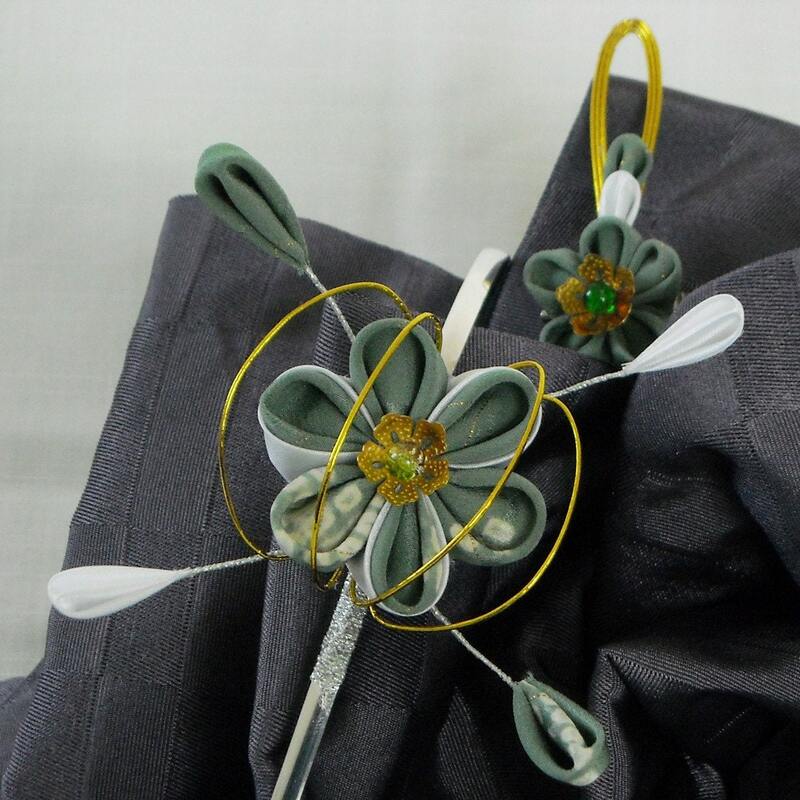 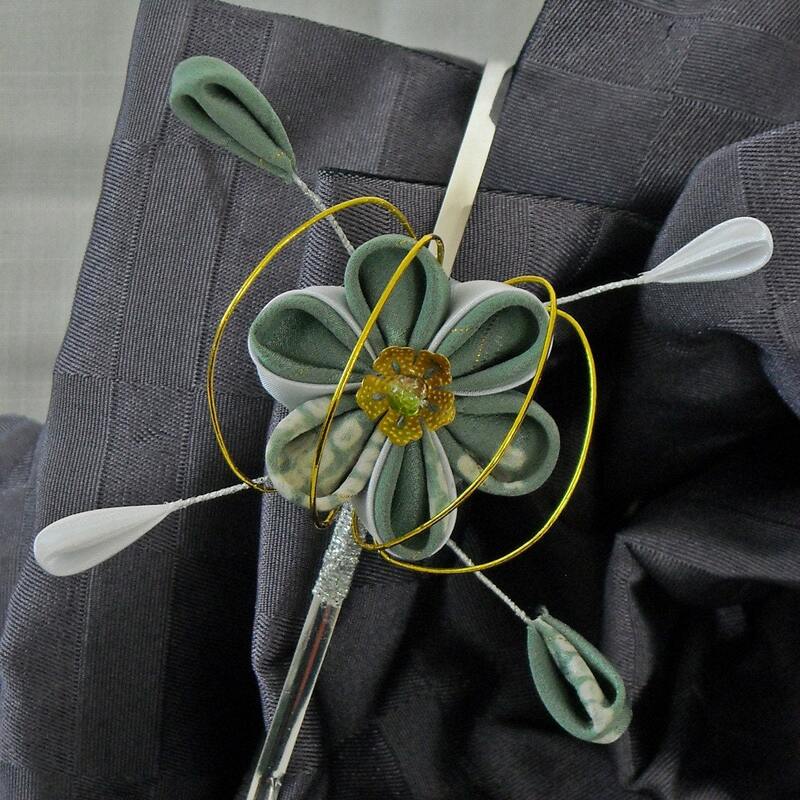 The hairband measures 17 x 15cm x 9cm while the buttonhole flower measures 7cm x 3cm x 1.5cm. 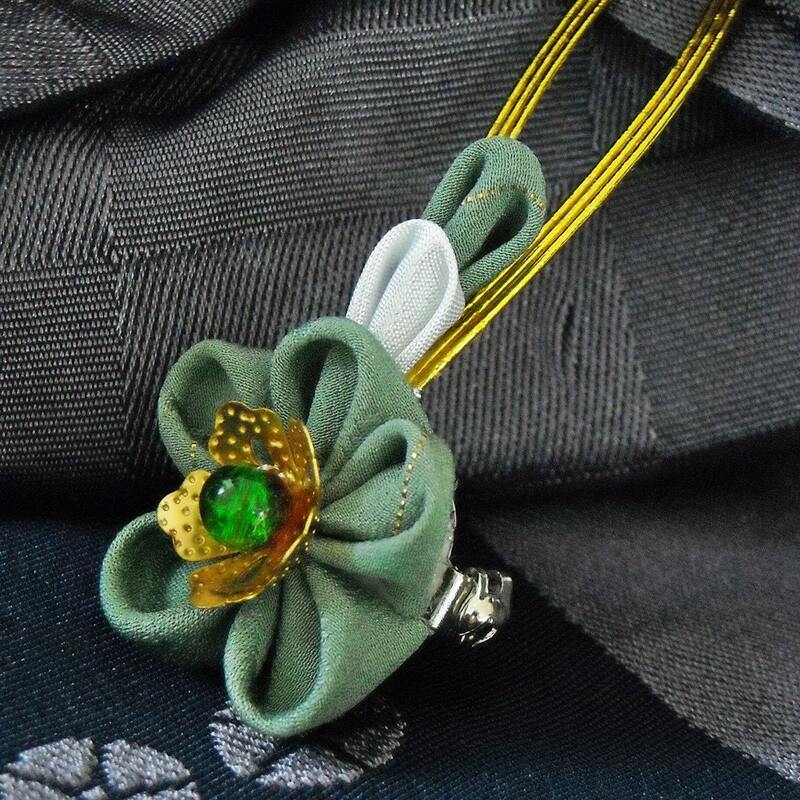 You can see the rest of my design in my Kitty Kanzashi etsy store.